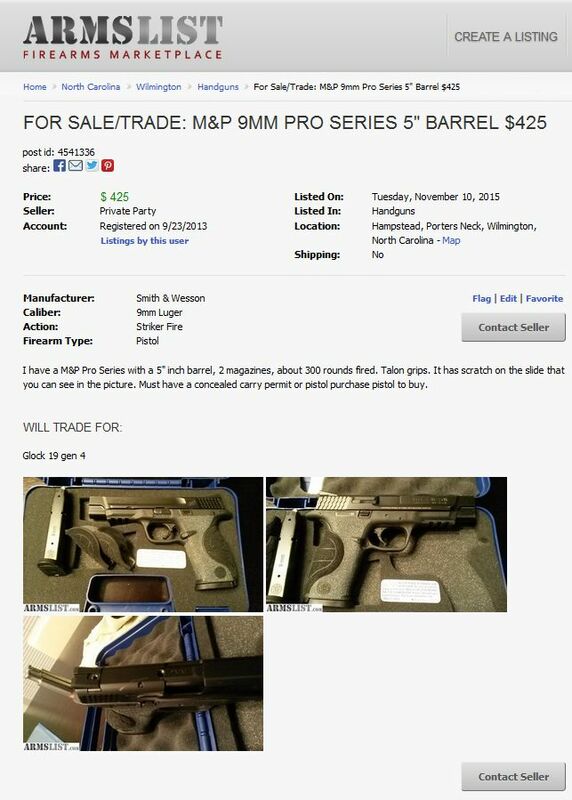 This entry was posted in Buy/Sell, M&P Pro by Sadie. Bookmark the permalink. That is neat. I actually have a new Ruger we bought two or three years ago. This is what I run in my M&P. If you want to try it next time you are at the range you are welcome Sadie. So far I picked up 6 additional magazines from Arms Unlimited for $24.95 each. Free Shipping. The free shipping was fast. I think I had them in 3-4 days. They are not aftermarket, they are S&W magazines. although I ordered it from Brownell’s. I will install that this weekend. Then I may get a friend to ground it down just a bit to avoid popping out the magazines on a table start. I have a kydex holster and mag pouches ordered from a local supplier and should have then the weekend before Christmas. Then I can start working on dry fire with my draw. The Trigger Kit is definitely something I’m considering. Another friend put one in his gun. He also put in the curved polymer trigger initially, but recently decided to try the newer Flat faced trigger that is more like a 1911 found here https://store.apextactical.com/WebDirect/Products/Details/191834. He likes that setup on his gun best. I seem to have lucked out and gotten a trigger that was done right or well broken in as I have no complaints about what came with the gun. I will compare what I have with the gun that now has a flat faced trigger and I would like to compare what I have versus what you’ve done with yours, so thank you and I’d love to take you up on the offer next time we are both at a match. You got a great deal on the magazines. I clicked on the link and they were out of stock. I already have 10 mags so it was no big deal but I would not pass them up at that price. Sorry I didn’t speak at the BUG match yesterday. Seems we were both busy before the match. Will make up for that in the future and say hello.